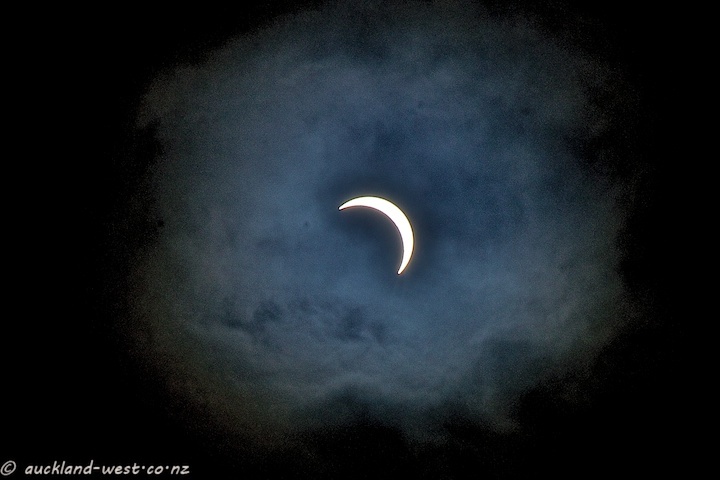 Wednesday’s solar eclipse was only a partial one in New Zealand, with about 87% of the sun covered by the moon when viewed in Auckland. 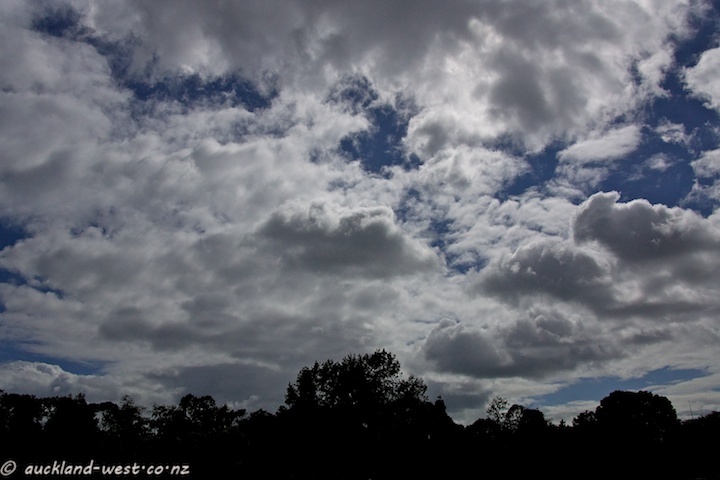 At the time of the eclipse I was at Western Springs watching birds. It was a fairly cloudy sky, as seen above (looking in a northwesterly direction; the sun was about 90 degrees to the right, in northeast). Below is what my camera saw of the eclipse. Self-congratulatory footnote: this is post number 1000 on this blog (1000 posts in 1059 days). It started on Christmas Eve, 2009, and has been going with the occasional hiatus ever since.